After over 35 years of working as a licensed professional counselor, I have stopped seeing clients. This article speaks to what I have learned from them through the years. 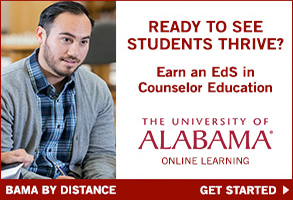 The inside story of being a counselor isn’t found in textbooks. It may be different for others, but for me, helping people lessen their life problems has taught me much about the world. Recently I worked with a delightful, educated couple that despite doing all the right things had lost their home and were going through bankruptcy. I think therapy with me helped them began their healing process and get restarted. For me, it transformed stories from the media to a real understanding of the pain and suffering others are experiencing from the current recession. I never would have known the inside working of the stock market if I hadn’t treated a trader or understood the pressure that faces a budding ballet dancer if I had not been the therapist for a highly conflicted mother/daughter relationship. I’ve never been divorced and I have heard some say you can’t help people with our form of talking therapy if you haven’t experienced the situation yourself. Forget that. Through over 30 years of being a “shrink,” I’ve had many splitting couples in my office. I’ve worked with women rebuilding their lives after divorce, and I’ve treated lots of troubled kids of divorced parents. The best work I think I’ve done is to spend time with divorced couples and helping them put their differences with each other aside and be good parents to their kids. Not too long ago, I had three unrelated cases of women dealing with alcoholism. Each one had been through at least one treatment program and was working on sobriety; each was also in an AA group. This chance experience of having three similar cases simultaneously completely changed my understanding of alcoholism, making me realize what a monster addiction is. I was able to clearly see the rational decision to stop paired with the incredibly strong emotional, genetic and cultural drive to drink. These people carry a burden that few of us can understand. At one time, I worked at a community mental health clinic and treated people assigned to me via the intake worker. Once, a depressed man entered my office and after telling me how depressed he was, told me he had the gun in the car to shoot himself if I didn’t help him in our 50-minute appointment. I focused our time on his allowing me to keep his gun for him; before our time was up, he and I walked out of the clinic to his car to get his gun. That was probably the first and last time I handled a loaded shotgun. I treated an 8-year-old boy whose prize possession was his boa constrictor. As his attachment to me grew, he wanted to bring his snake to my office. I did not think it would be therapeutic to say no, so the boa came wrapped around his neck under his T-shirt. Things went well until the frightened boa crawled under my sofa and we couldn’t get him out. With my next client waiting, it wasn’t easy to keep my therapeutic cool and eventually get that snake out of my office. Yes, there is a lot of hard work involved in being a therapist. You carry people’s problems with you all the time. I treated a 16-year-old girl who called me so frequently at night that my husband finally got annoyed. “Tell her to call you earlier,” he lamented. I felt she needed to call me when she was at the height of her emotional trouble — which just so happened to be late at night — so I let it continue. I treated her for many years, including when she entered college and she would make a two-hour drive to see me weekly. Today she is married, has a happy 10-year-old son and holds a challenging job. I feel my availability saved her life. As a counselor, my responsibility is to help my clients understand their painful life experiences and help them develop better ways to cope. I do this through talking together at regularly scheduled appointments and, when needed, recommending medication. I hope I have helped my clients as much as they have helped me. I never would have known about or understood certain life experiences without them. In writing this article, it is interesting how many people have come back into my mind. I realize now how much each and every one of my clients has meant to me. Margery Fridstein has been in the counseling field for many years, as a psychotherapist at a mental health clinic, in private practice, supervising LPCs and teaching psychology and child development at a community college. For many years she wrote a weekly newspaper column, “Let’s Talk Behavior,” answering questions people sent in regarding their lives and their family issues. Working with children has always been a sub-specialty of hers. She is currently using what she has learned from her professional work as the basis for the articles she writes. Contact her at mfridstein@comcast.net. 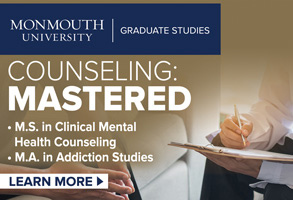 As the release of the fifth edition of the Diagnostic and Statistical Manual of Mental Disorders (DSM-5) draws near, counselors can listen to two American Counseling Association-recorded podcasts featuring members who have been involved with the revision process. Rebecca Daniel-Burke, ACA’s director of professional projects and staff liaison to ACA’s DSM-5 Task Force, hosts the podcast series, which offers counselors a way to prepare for and understand potential changes. Daniel-Burke spoke with K. Dayle Jones for the first, 38-minute podcast, and Jason King for the second, which is 52 minutes long and available for CE credit. 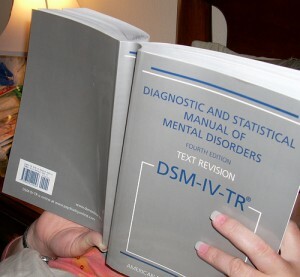 Jones, a counselor educator at the University of Central Florida and former chair of the DSM-5 Task Force who edited Counseling Today’s “Inside the DSM-5” column, discusses the DSM-5 revision process in her podcast. In addition, Jones, a member of the World Health Organization’s international advisory group for the revision of the International Classification of Diseases (ICD-11) section on Mental and Behavioural Disorders, will also discuss the DSM-5’s designation as HIPAA’s official codebook for diagnosing mental disorders, the ICD’s relationship to the DSM-5 and its overall implications for diagnostic practice. With the release of the DSM-5 set for May, Jones believes it is important for counselors to be aware of the potential changes in the new edition and also of their options for utilizing the ICD. The second podcast in the series is a discussion with King, who has been involved with the DSM for many years. 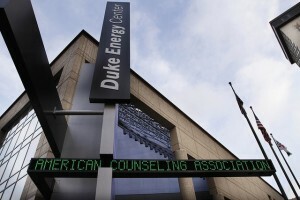 He owns and directs an outpatient mental health and substance abuse treatment clinic, which collected data for the APA’s clinical field trials, which helped inform the DSM-5 revision process. In addition, King also serves on the DSM-5 Task Force and teaches classes on the DSM-IV at the bachelor’s and master’s levels. In his podcast, King discusses the potential DSM-5’s diagnostic changes and what they could mean, including the spectrum-based conceptualization of clients, the handbook’s cultural aspects and its overall strengths and limitations. King believes that changes in the healthcare system mean that a firmer grasp on the DSM is needed. Following the release of the DSM-5, ACA will be offering a six-part webinar series regarding the revisions. King recommends that counselors be patient as they get used to the DSM-5. Click here to download and listen to the podcasts. Attendees of the ACA Conference in Cincinnati on Friday had the opportunity to watch a private screening of the new documentary Submit before it received its world premier in Atlanta on March 23. Producer Ashley Reid was on hand to discuss the roughly hourlong documentary focused on cyberbullying and the catalyst it has become for teen suicides. Submit features engaging, honest and sometimes heart-wrenching interviews with today’s teenagers, who are often left to confront the realities of cyberbullying on their own. Parents of teens who took their own lives after being cyberbullied also share their stories, as do educators, experts and law enforcement personnel who are struggling to find solutions to this sinister problem. But Reid said the purpose of the documentary is not just to shine a light on the problem but “to push us toward a solution.” Toward that purpose, the Submit team has launched a website, SubmitTheDocumentary.com, where counselors, parents and other stakeholders can go to get fact sheets and access other resources. 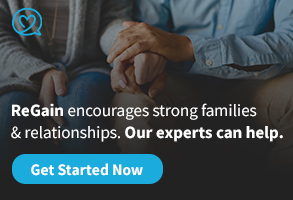 The website also invites users to share their stories, regardless of whether their experience with cyberbullying has been as a victim, a bully or a bystander. Two of the strategies the documentary promotes are encouraging bystanders not to stand by and remain silent when they encounter instances of others being victimized by cyberbullying, and teaching and advocating for more empathy among teens. Sheri Bauman, an American Counseling Association member who was integral in bringing the film screening to the ACA Conference, is working with the Submit team to develop a users guide for the film that educators can use. Bauman, the author of Cyberbullying: What Counselors Needs to Know, published by ACA, will be presenting an education session titled “Working With Perpetrators and Targets of Cyberbullying” on Sunday as part of the ACA Counseling in Action Demonstration Series. Reid encourages counselors to contact her at ashley@submitthedocumentary.com to share their thoughts on cyberbullying and to discuss what resources they need in the fight against cyberbullying. Trying to bring closure to a process that began seven years ago, the delegates to the 20/20: A Vision for the Future of Counseling initiative, met for the final time Thursday afternoon to discuss the two remaining “building blocks to counselor license portability.” The group reached consensus at last year’s conference in San Francisco on “Licensed Professional Counselor” as the common licensure title for counselors. Tasked in Cincinnati with reaching consensus on a counselor scope of practice proposal and a proposal on educational requirements for licensure, the delegates went 1-for-2. After roughly 90 minutes of discussion, the delegates voted 28-1 to accept a common scope of practice for counselors. The delegates could not, however, reach agreement on education requirements. At last year’s conference, the delegates endorsed the concept that having a single accrediting body would be a clear benefit to the counseling profession. Two accrediting bodies participated in the 20/20 process — the Council for Accreditation of Counseling and Related Educational Programs (CACREP) and the Council on Rehabilitation Education (CORE). 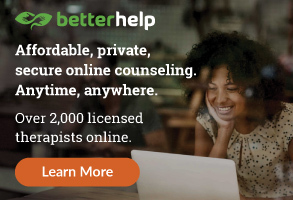 The proposal on the table in Cincinnati recommended inclusion of graduation from a CACREP-accredited mental health counseling or clinical mental health counseling program in model licensure language. It also recommended development of grandparenting language to be applied to graduates of CORE-accredited programs and graduates from other CACREP program areas for a time-limited period. Many of the delegates believe the true solution to the problem is to have CACREP and CORE pursue a merger and urged those representing the two accrediting organizations to “come together.” The organizations did discuss a merger in 2007 but couldn’t reach an agreement. “We are a long way away from this third building block to license portability, which is a shame,” said facilitator Kurt Kraus as time ran out on the 20/20 discussions. The Library of Congress National Library Service for the Blind and Physically Handicapped (NLS) is conducting a survey to understand how to better serve the needs of readers of talking books and braille. Take the survey now to let your opinions be heard and help us better serve you! To take the survey online or to learn more about it, go to LibraryOfCongressSurvey.com. 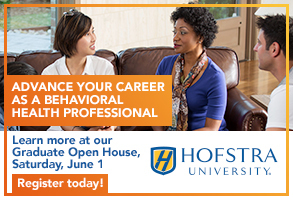 Or, you can call 1.866.545.1618 to schedule a time to take the survey over the phone. You do not have to be a current NLS reader to take the survey. The 25-minute survey is designed to learn more about your experiences with talking books and braille, what types of talking book and braille materials and services you are looking for and what NLS can do to get you interested in the free Library of Congress talking book and braille program. If you aren’t currently using NLS, let us know what services you want and how we can add you to our list of NLS readers. If you are a current NLS reader, let us know what we are doing well, where we can improve, and what new services you would like NLS to offer. Your answers to the survey questions will be kept confidential. 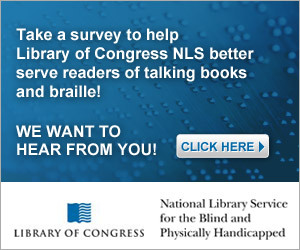 Take the survey now to help Library of Congress NLS better serve all readers who use talking books and braille!